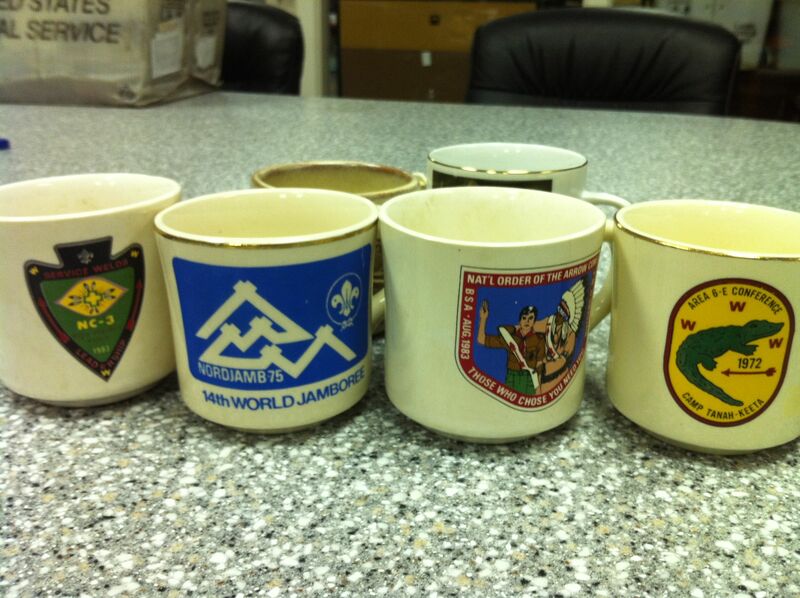 Boy Scout Coffee Mugs while cool, are not all that collectible. I hate it when someone has a box of these and thinks they are going to get rich off them. The brutal truth is they are good for drinking coffee and target practice. 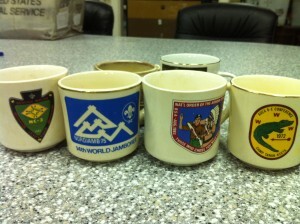 I’m looking to buy all types of old Boy Scout items. Pins, Patches, Uniforms, Medals, Merit Badge Sashes, Pictures, Neckerchiefs, etc. If you have an item or items to sell, give me a call or email and I’ll tell you what I think.